Design: A rectangular mat (mattress/pad) with plastic strip at the top for controls. 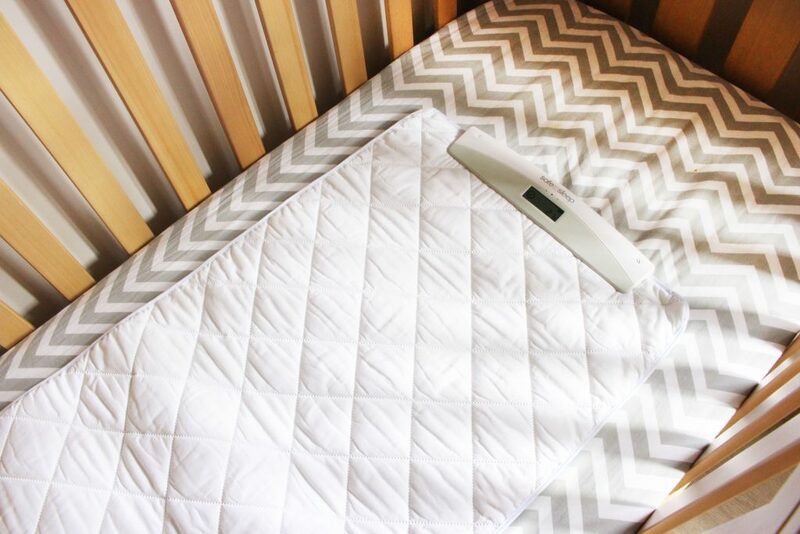 Baby Unit Specifications: The SafetoSleep-STS200 mat is filled with fiber optic technology for breath sensing to send signals to the Smart Phone Apps about baby’s breathing and sleep patterns. Designed for babies between 2-10kg. Parent Unit Specifications: N/A – Connects to your Smartphone (you need to download 2 free Apps) – one for local monitoring at home and another App for remote monitoring when you leave your home for work or shopping, etc. Where you can get it from: Visit the SafetoSleep Website for options. SafetoSleep Links: Visit the SafeToSleep Website or Facebook. 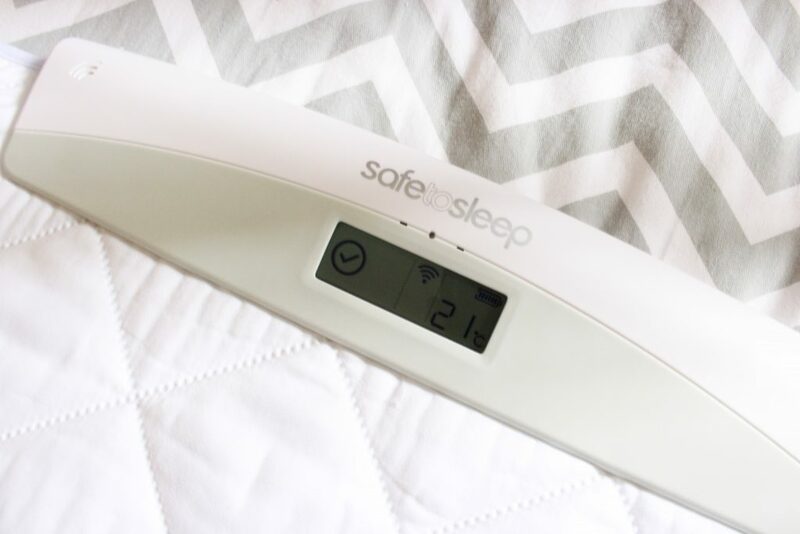 The SafetoSleep-STS200 Baby Monitor comes as a medium-sized mattress (the mat measures 50x90cm), about the size of a small cot-mattress. It is thin, easy to roll up and lightweight. It doesn’t come with extra cords or wires that you need to worry about with installation, and was easy to put in the cot ready to go. The mat has a microphone included so you can monitor the room ambient noise level to help you know the baby sleeping environment as display in the Sleep analysis part of the STS-200 App , and it also has a speaker to allow you to play lullabies through the mat (you can even record yourself singing lullabies to your bub!). As we have a white noise machine we’ve been using since day dot with our boy, we left this option off – but for next bub I will definitely be using the recording options available (so I don’t have to keep singing Twinkle Twinkle Little Star!). It has temperature sensor too, to feedback the ambient room temperature that your baby is sleeping in which form part of the Sleep analysis in the STS-200 App. The SafetoSleep-STS200 mat is designed for younger babies (particularly premature babies) as they stay in one place and won’t roll around all over the place. As we started trying the STS200, my son had really started to roll around all over the place and would have been playing on the mat (of course, to emphasise that my son is 14 months old, almost walking and over 11kgs so just over the weight recommendation!). I was a bit unsure about whether the STS200 mat would work on the cot mattress, but was pleasantly surprised to find that it did work well. As the mat is smaller than the cot mattress, however, I did find I had to position it in the area my son was most likely to stay in for most of his sleep time. To get the SafetoSleep-STS200 mat up and running, you need to install 4x AA batteries into the back of the plastic strip up the top. Then, you install the SafetoSleep App on your phone (and update the settings to your preferences) and the STS-200 Baby Monitor is ready to go. While this system may have a slightly longer set-up time than plugging a baby monitor into the wall, I liked the benefit of having my son’s sleep patterns and breathing monitored on my phone – especially while I was at work. The App connected with the SafetoSleep-STS200 mat via Bluetooth, and took less than 5 minutes to set it all up (including putting in the batteries!). The mat has an alert system in place when there is a slow breathing (10 breath per minute and below) trend is detected. First it will send an alert to your App to say that your baby’s breathing has slowed down. It then makes an audio alert in both the SafetoSleep-STS200 mat and through the App if the slow breathing or no breathing event has been detected. Through the STS200 App, you can see when your baby is asleep, awake or out of the cot (or crying). This is kept as a log in the App so you can look back on how well your baby slept throughout the night. 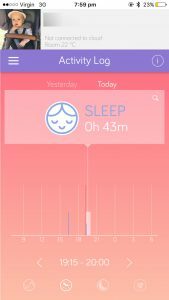 Again, this would have been perfect for me when my son was a newborn, because I used to track his sleep for the first few months of his life – and this would have been the perfect way to keep track of it automatically rather than me inputting it into an App (It works very similar to the sleep tracker on a Fitbit!). A “Sleepbit” for newborn and premature babies. The SafetoSleep STS200 Baby Sleep wellness Monitor System is perfect for newborns, and premature babies in particular. I wish I had this STS200 mat when our son was younger as I think it would have been perfect for us, hopefully with less false alarms than the one we originally used for him. 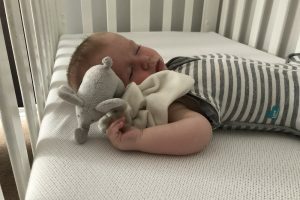 I think especially if you have a premature baby, you’re a first-time parent who might be a bit anxious about your baby’s sleep, or you just want an extra peace of mind, the SafetoSleep System is the perfect Baby Monitor for you – one of my favourites! 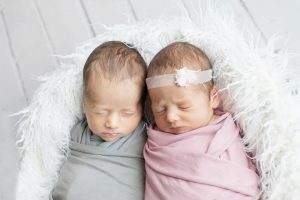 Connecting to your Smart Phone to allow you to monitor your baby’s breathing and sleep patterns – as well as keeping track of their sleep patterns over time. 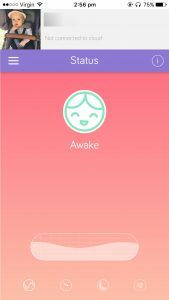 The remote Sleep App so working parents can keep track of their baby’s sleep. 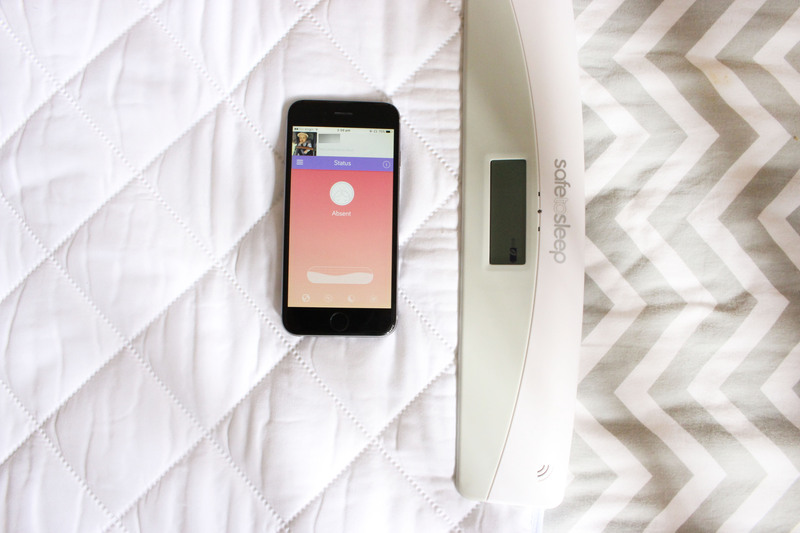 The SafetoSleep-STS200 mat tracks your baby’s breathing, and sends an alert to your App if the breathing has slowed, and if it stops (the alert goes through the mat and the App). It is lightweight, and portable – so if your baby needs to sleep somewhere else, you can easily pack it up and take it with you without having to worry about annoying cords and so forth. All the Sleep patterns and Sleep analysis data are stored in the SafetoSleep cloud for your remote monitoring convenient and review in the future, you could use STS Access App to view your bub breath counts and Sleep analysis chart when you are at work or running to the supermart for some supplies. STS-200 mat can function independently without connection to the Smart Phone, and it will provide audio alert when it detect slow or no breathing events. It is designed for younger babies, particularly those not rolling or moving around (around the 4 – 5 months mark). The monitoring on your phone relies on a Bluetooth connection, so if this isn’t an option (for whatever reason) you won’t be able to track the breathing or sleep on your phone. 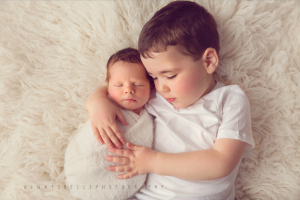 Check out the other Baby Monitors in this review! Fi Morrison is a first-time mum to a beautiful baby boy, who inspired her to start a blog at Mumma Morrison. 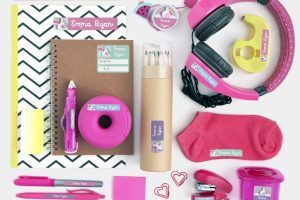 She aims to support new and prospective mums in their motherhood journey. Fi also works part-time as a primary school teacher. 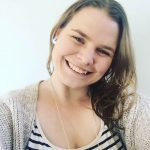 You can follow her on Facebook, Instagram or Twitter.